Q1. Where do you start in decorating your home? You start with a focal point that is meaningful to you. It can be a painting or a fabric that you like. From this point you can begin to see the colors that please you. Whether your job is large or small you start by planning the total look. We can help you set a plan in motion so everything will coordinate. Q2. I have heard of programs to help me utilize the furniture that I have now. Can you help me? Yes. The decorators at the Specialists of the South can make suggestions on furniture placement, often suggesting that you consider changing the location or placement presently being utilized for a piece of furniture. We know how important it is to use and enjoy pieces that have been in your family for some time. Q3. What information is needed to order a table pad? If you have a contemporary table, the chances are good that we can order a table pad from the manufacturer's stock number of your table. Should you not have this information, or should your table be older, a template can be made of your table for the pad. Q4. Do I have to take measurements and bring them to you for drapery treatments? No. In fact we insist on taking the measurements for drapery treatments to insure a proper fit. Q5. My patio furniture was very expensive. It needs to be reworked. Can I change the color of the frames and the strapping? Yes. There are many strapping colors to select from and frames can be painted to match or coordinate with the strapping. Q6. I like wallpaper but I don’t want the seams to show. What must I consider? Many exotic wallpapers will have a definite seam line. 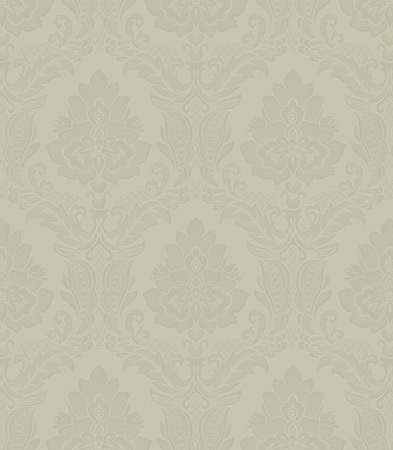 Our decorators can guide you in selecting the right wallpaper for your room. Q7. I don’t know how to hang my pictures properly. Can the Specialists help me in grouping my artwork and photographs attractively. Yes. Our decorators are trained to help you understand where to begin. Or, we can handle the project for you. Q8. I need new lamps and the Specialists of the South does not stock lamps. Can you help me? Yes. Our interior decorators can accompany you to buy lamps locally helping you to coordinate your total look. If time is not an issue and you have special requirements, the Specialists can special order just the right look for your setting. Q9. My condominium will have to be taken off the rental program for renovations. How long will the renovations take? The scope of your job will dictate how long your project will take. But, the Specialists of the South is able to paint/refinish furniture, upholster furniture, wallpaper, and construct draperies in a minimal timeframe. With proper planning, your unit may have a fresh, appealing look with a down time of one week. Q10. I have heard it is expensive to hire a decorator or interior designer. What should I consider? Hiring an interior decorator or interior designer may in fact save you money in the long run. The professionals at the Specialists of the South are trained to give you quality control on every job. Their experience often helps you avoid costly mistakes in your decorating projects. Q11. I don’t have the funds to do all the work now. What can I do? Our interior decorator can help you set your priorities. You will want to discuss your budget with your interior decorator. Interior decorating projects are often scheduled in small steps. Q12. I like to see patterns mixed attractively but I don’t seem to be able to do this myself. Do you have tips for me? Patterns can be mixed as long as they vary in line, size, and direction. Start simply and mix three patterns, perhaps a large floral, a small geometric, and a stripe. Our decorator can show you many pleasing pattern combinations.